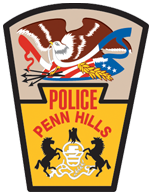 Like many businesses and corporations, the Penn Hills Police Department operates under fundamental leadership principles. Chief Howard Burton is the agency executive and is responsible for the overall operation of the police department and its budget. Effective leadership ensures that the department’s goals and missions are carried out with success. Assisting the chief with the day-to-day operations are three lieutenants; Robert Meyers, Joseph Snyder, and Anthony Diulus; each of whom is assigned separate areas of responsibility. Lieutenant Diulus is in charge of the Uniform Patrol Division. Lieutenant Meyers oversees command of the Criminal Investigative Division, and Lieutenant Snyder is responsible for most other administrative areas of the department, to include the Records Division, evidence control, and school crossing guards. The successful operation of a police department relies on many variables. Some of the most significant tasks associated with running a police department are scheduling of officers, vehicle and equipment maintenance, implementation and enforcement of policies and procedures, and the commitment to ongoing training. There are also many other endeavors the administration handles on a daily basis, making the operation of the Penn Hills Police Department a full-time job for those tasked with it.